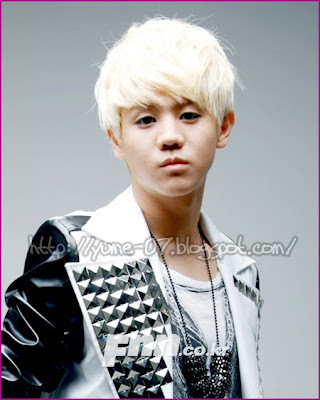 Yang Yo Seob is a main vocalist of Korean Boy Band Beast. 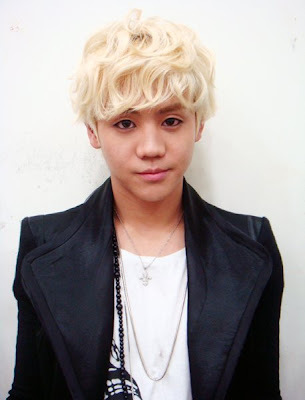 With his blonde hair, Yang Yo Seob can be very easy to be recognized. Noted to be the “cute” member of BEAST. Yo Seob was a former M Boat Entertainment (a former sister company of YG Entertainment trainee before he transferred to Cube Entertainment. He was also known for his self-created videos and parodies. He was a backup dancer for AJ’s music video “Wiping the Tears” and “Dancing Shoes”. 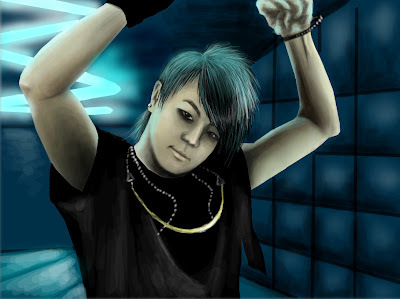 He also performed as a backup dancer when AJ was promoting “Dancing Shoes”. Along with fellow BEAST member Jun Hyung, MC Lee Hyukjae, Moon Hee Jun (formerly of H.O.T.) and Kim Sook, Yo Seob welcomed Japanese tourists for “Visit Seoul 2010″ campaign, where Korean celebrities and Japanese tourists explored Seoul in MBC’s Star Guide Doshiraku to raise awareness of Seoul’s famous areas as well as its delicious cuisine. On July 16th, 2010, Yo Seob participated in the More Charming by the Day official soundtrack in promotion for the film with the song “Happy Birthday”. 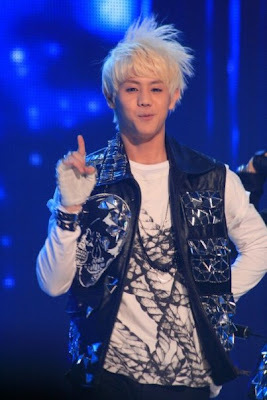 Stands 174 cm, Yang Yo Seob’s fans always curious about his height. Yo Seob may be second shortest member of the group after Lee Gi Kwang. 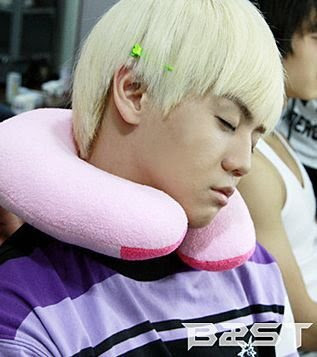 Why can’t B2ST’s Yoseob fall asleep? Keeping in mind that this hot group made their debut with ‘Bad Girl’ a little over a year ago, B2ST has been running ragged with an incredibly hectic schedule, as they’ve released four mini albums in just one year. The group has barely had any rest, since on top of their weekly performances for their fourth title track ‘Beautiful‘, the members also have their own personal schedules to digest (Lee Ki Kwang for “Hot Brothers” and Yoon Doojoon for MBC “All My Love”), in addition to preparing for their first independent concert. On MBC at Show! Music Core that was broadcasted on the 4th, the cuts from the 2010 Incheon Hallyu Concert that occurred on the 29th of August in Incheon Moonhak Worldcup Stadium was displayed. On that day, Yang Yoseob had gone on stage and had sung “Special” and “Shock” live and won a round of applause from the fans with his safe vocal ranges. However attentions turn toward him once again after that it had been revealed that Yang Yoseob was not in his regular condition. He had gone on the stage even though he wasn’t perfectly recovered from the surgery he had taken to remove the infection in his nose. Someone from Cube Entertainment, BEAST management, stated, Truthfully, on that day, Yang Yoseob hadn’t been 100% fully recovered. He was mostly recovered, however since we decided that it was going to be hard for him to sing live, we wanted to cancel the schedule. 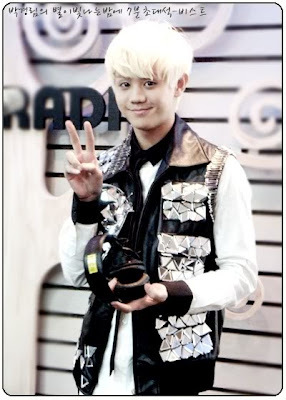 Then they revealed that Yang Yoseob had stated, We need to keep the promise with the fans. In addition Cube Entertainment added, since we knew that it was going to be hard singing live because of the surgery we decided to have background music. However Yang Yoseob told us, I’ll give it a try, and he was able to fully sing on the live stage. He had been fully able to sing live successfully even in a situation where he had to control his breathing only with his mouth since it was hard for him to breathe through his nose. Yang YoSeob of BEAST Shocks With a Six Pack! Yang YoSeop of BEAST showed off his six pack recently, which was very surprising to all since he was always seen as a Pet-Dol. BEAST’s company CubeÂ Entertainment‘s staff uploaded this picture on his Cyworld Mini HompyÂ titlingÂ it “Who’s six pack is this?” on 28th of May. The staff member alsoÂ mentionedÂ that BEAST’s body is starting to shape really nice. A lot of Korean netizens wanted to know which member of BEAST’s body the toned six pack belonged to. Today on June 1st the staff member revealed that the body belonged to Yang YoSeob. As well as the six pack he also showed his arm muscles,Â looking more and more ‘beastily’ and hot! 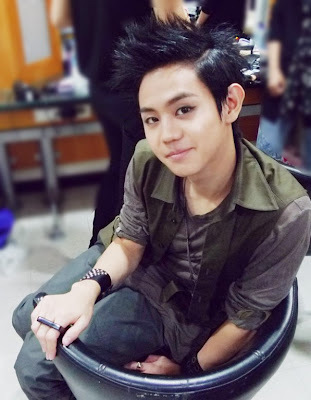 Yang YoSeob was called a Pet-Dol due to his cuteness but after these pictures a lot of the fans are veryÂ surprised.